Today we will be looking at the top 5 goalkeepers to keep our eyes on during this World Cup in Brazil. This list is not in any necessary order, i am not looking at ranking the players, but rather narrow down what i expect will be the top 5 goalkeepers of this tournament. After a season at Sporting CP where they finished 2nd in the league, Rui Patricio is looking at this World Cup as an opportunity to put a stamp in his career at the world stage. Many rumors of his eventual transfer to larger market teams have surfaced in the Portuguese media, but a solid performance by him this summer would make him one the targets for this summer transfer market. Portugal is in a very difficult group, in order to advance they need Patricio at his best, another reason why we should keep our eyes on him. This rookie keeper will have his first taste of a World Cup this summer, but don't let that fool you. He has a vast club experience and is in a large part responsible for the amazing campaign Atletico Madrid had this year and also insuring Belgium would qualify for this summers big dance. His performances haven't gotten unnoticed and Jose Mourinho has made it clear that he wants him to return to Chelsea from his loan spell at Atletico once the new season kick offs. If Belgium is to become the Cinderella story that we all expect them to be, Courtois will have to continue his incredible performances in Brazil this summer. The veteran of the group (top 5 goalkeepers) will have one last chance at winning a World Cup. At the age of 36 many will not believe he will be at the next World Cup in 2018. While not impossible to happen i see it as very unlikely. He won the World Cup in 2006 so he has the experience of winning at the biggest stage of them all, add that to an incredible club career that saw him win another title for Juventus this year and you have perhaps the best goalkeeper in the world at this moment. Italy will rely heavily on him to make a deep run and perhaps a presence in yet another final. At the age of 27, Muslera has already played in the 2010 World Cup, and 2011 Copa America, which Uruguay won by defeating Paraguay in the final 3-0. At the club he is also a champion, Galatasaray won the domestic Turkish league this year and Muslera started in 33 of the 34 matches. Uruguay has one of the most balanced teams in the World at this moment, and a goalkeeper entering the prime of his career could be the needed mixture to make them a World Cup contenders. I expect Muslera to have anotherimpressive tournament like he did in the 2010 World Cup, but this time helping his team reach a bit further. 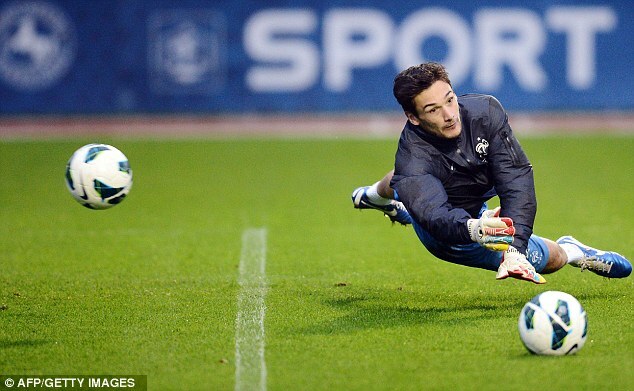 After a frustrating season with Tottenham in England, Hugo Lloris will be looking at this World Cup as a way to regain some of his confidence and glory that he showed with Lyon and the national team before his move to England. France are not in a difficult group, so that should help him gradually build his confidence and also the confidence of his team mates in him. For France to have any chance of even making the quarter finals, Lloris has to be at his best, so i expect him to rebound and have a great tournament.